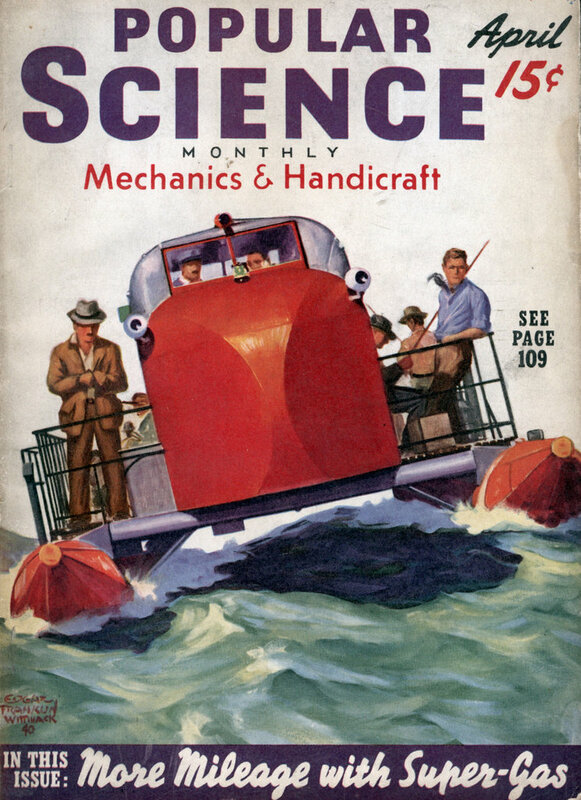 Small alphabet macaroni sold for use in soups will sometimes serve effectively for the name of a ship model. Select the necessary letters, taking care to have them all regular in shape and size. Paint them first the same color as the surface to which they are to be applied. 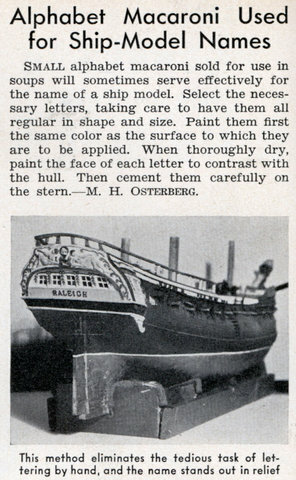 When thoroughly dry, paint the face of each letter to contrast with the hull. 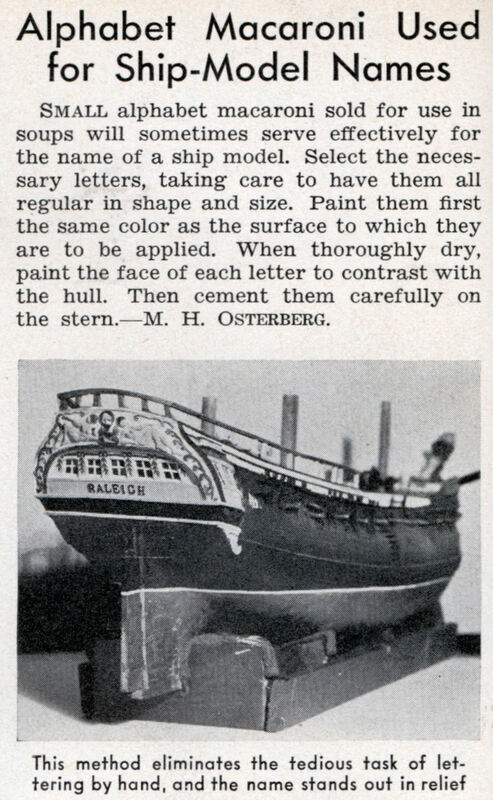 Then cement them carefully on the stern.â€” M. H. Osterberg.